For three days in the fall, the city of Hamilton, Ontario casts aside its reputation as a tough, blue collar steel town and turns its thoughts to kissing, hugging and other affairs of the heart. For three days in the fall, the city of Hamilton, Ontario casts aside its reputation as a tough blue-collar steel town, and turns its thoughts to kissing, hugging and other affairs of the heart. In this piece, we travel to Romcom-Con—the world's biggest romantic comedy convention—in an attempt to add a little l'amour to our lives. 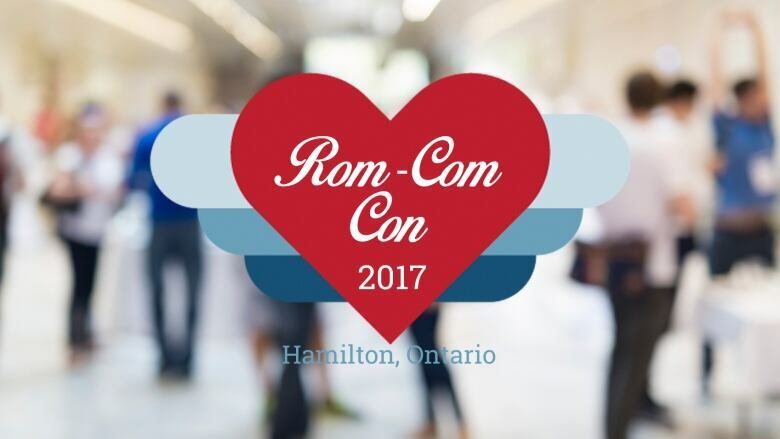 "There are too many conventions that celebrate comics, superhero movies and nerd stuff," says Romcom-Con organizer Florence Weber. "We wanted to have an event that celebrates real movies about something real: love. To me, there is nothing more magical than a good romantic comedy." Listen to learn how thousands of Rom-Com fans gather to celebrate their favorite genre of film. Warning: this piece may make you fall in love with Tom Hanks all over again.